Come stay with us and experience a real working cattle ranch in the mountains of Western NC. Excite your senses with the sights, smells and sounds on the farm. Visit Western North Carolina's Premier Cattle Ranch. Clean, quiet, comfortable and close to town. Walnut Hollow Ranch is a working cattle farm in the mountains of Western North Carolina. Walnut Hollow Ranch offers RV camping, lodging and tent camping. The ranch can accommodate families/ friends for reunions and get-togethers. Inquire with the owner for breakfast and cookout options for your group. The farm store features our Premium Black Angus Beef. There are two beautiful ponds loaded with bass and sunnies. One pond is near the campground shaded by stately willow trees. There are a couple of miles of hiking trails on the 175 acre farm. Bring a tent for the kids to camp by the pond. The ranch can accommodate big rigs and is pet and horse friendly. Amenities include limited WIFI, picnic area and fire rings. Activities on the farm are fishing, hiking and swimming. Lake Chatuge and the quaint Historic town of Hayesville are only minutes away. Enjoy scenic drives through Clay County. Harrahs Valley River Casino is only 20 minutes away. Fantastic area for hiking, boating, biking and horseback riding. Walnut Hollow Ranch is dedicated to providing high-quality all natural - grass fed beef. Our Black Angus Cattle are raised responsibly, with top standards, producing the finest beef obtainable. We are committed to offering a healthy beef choice direct to your family. 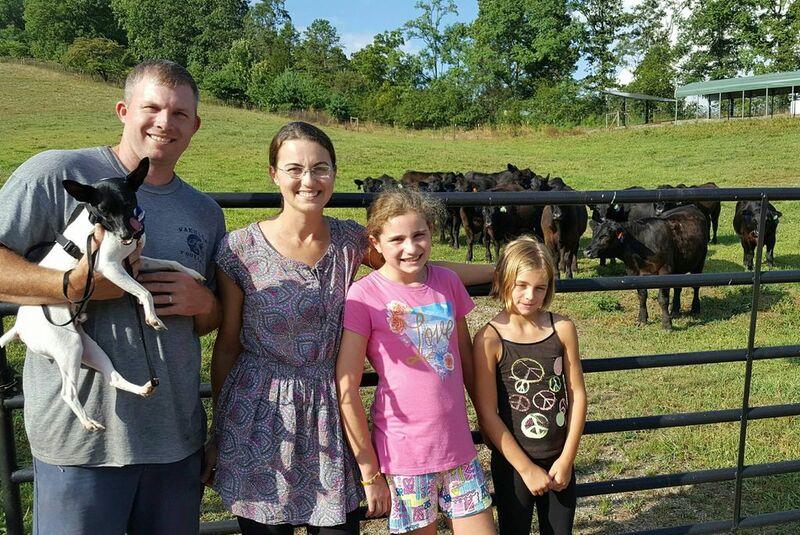 Discover a working cattle farm in the mountains of Western North Carolina at Walnut Hollow Ranch. Charlie will personally introduce you to his ranch and share a wealth of knowledge about sustainable management of productive pastures, genetics and animal husbandry. You can learn about the ranch produces Premium Black Angus Beef. The ranch cares for the health and well-being of the cattle using the highest animal welfare standards. There are many photo opportunities, especially seeing the kids with the farm tractors and equipment. Charlie wants visitors to experience the sights and smells of the farm while discussing the cattle nutrient requirements. In addition, you will see many conservation practices used to protect the farms resources, water quality and environment. Traveling a distance, no problem, we’ll ship or safely pack your order! Buses, RV’s and pets are welcome. RV hook-ups and a picnic area are available with plenty of parking. Walnut Hollow Ranch Trail Vacation Stables offers pasture board for your horses. Walnut Hollow Ranch is the first business in Clay County to receive recognition from the NC Department of Environmental Quality. The NC Green Travel Program recognizes businesses in the travel industry that have established and adhere to a set of guidelines that protect the environment. Walnut Hollow Ranch is dedicated to providing high-quality all natural - grass fed beef. Our Black Angus Cattle are raised responsibly, with top standards, producing the finest beef obtainable. We are committed to offering a healthy beef choice direct to your family. Walnut Hollow Ranch was bestowed the 2014 Area 1 Conservation Farm Family of the year award.